Fiction Riot announced the launch of its Curated Submission Platform (CSP) to encourage filmmakers around the world to submit their premium video content for a chance to be added to its library of fast fiction series. The company is promoting its “Million for Million” initiative, offering $1 million US dollars to the first content creator whose episode garners 1 million unique views. Moreover, with Ficto’s industry-first streaming revenue-share model assured by blockchain-based smart contracts, all creators - even those who don’t receive a million views - will still be paid meaningful, ongoing royalties based on viewership. The highly scalable framework provides full-featured multimedia editing capabilities and speed to the editors working in the field or at remote offices without requiring a PAM/MAM at every location. Hitachi is showing off their new SK-HD1800 Progressive Scan, Global Shutter CMOS Production Camera at NAB. It offers full HD progressive scan throughout the entire camera chain. Utilizing HITACHI’s new generation 2/3” CMOS Global Shutter image sensors, it easily adapts to a wide range of difficult LED lighting conditions and large LED displays. The SK-HD1800 has motorized remote filters and delivers flawless high-performance in mobile trucks, TV studios, houses of worship, arenas and other venues. The SK-HD1800 camera system is capable of multiple High Dynamic Range profiles and retains all the popular functions and features of the Hitachi’s existing camera line. Initially developed for the 2014 World Cup for use by HBS, and later evolved for the ARD German Public News Broadcaster Norddeutscher Rundfunk (NDR), Helmut FX leverages the EditShare Flow API to integrate Adobe Premiere Pro project files and user configuration capabilities within the post-production workflow. Tongal announced this year’s winners of the CineSpace Short Film Competition, which screened last weekend at the Houston Cinema Arts Festival (HCAS). Director Richard Linklater (Boyhood, Dazed and Confused) selected the 5 winning films from a stellar group of finalists. Limelight Realtime Streaming enables organizations to stream live video from anywhere in the world to anywhere in the world in less than a second, providing online viewers with the same experience enjoyed by broadcast viewers. The solution leverages the industry-standard WebRTC video format and Limelight’s global edge network to deliver scalable, broadcast-quality, realtime video streaming that can be viewed in all major web browsers without the need for special software or plug-ins. 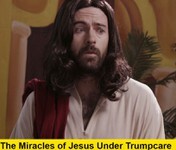 The Miracles of Jesus Under Trumpcare - What would the miracles of Jesus have been like if he dispensed them with the same criteria as the current healthcare bill? Lone Hunter is a dramatic thriller about racism and gun violence. 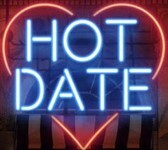 Based on true events it follows an Asian American man as he goes on a hunt to find respite from his domestic situation. His day quickly spirals downward when he discovers his truck to be vandalized with racist graffiti and is then confronted by a group of Caucasian American hunters, whose racist taunts lead him to snap. Watch this - Trump and Steve Bannon on the run from police. Does this remind you of the OJ Simpson chase? From the White House to the White SUV, President Trump will do anything to escape the newly appointed special counsel. Yes Google is getting back to the point where they can make a ton of money selling ad space on YouTube (along with your online activity data) but they have ambitions like everyone else. It's their own streaming video/movie/content channel. Ok it's not Netflix, Amazon Prime, Sky or Rogers but it's only $35 a month (whooppee!). My issue is that there is too much really insanely great indie filmmaker work out there to bother with the YouTube stuff. At NAB everyone will be hustling their solutions and hoping to gawd everyone doesn't get on the iNet or airwaves at the same time. Fortunately industry executives will get right on that little problem next month and by the time we're all needing a video fix it will be there...they hope. Everyday Humans - Willy Jensen A short film about a man and his boat. Everyday Humans - Willy Jensen - A short film about a man and his boat. Willy loves fishing - it's all he's ever done. After all his years of practice he's a dab hand with a fish knife and knows where all the good shrimp are hiding. These days he's still sailing the seven seas in his tinny, waxing lyrical about flat fish and whispering sweet nothings to his engine. Meeting the parents can get pretty daunting when you're dating Ivanka Trump. Jordan Peele's Horror film "Get Out" meets the only thing that could make meeting the parents even scarier, President Donald Trump. Deseoutshy ElHadid - Medical Rep, longboarder, and escape artist. Deseoutshy lives amongst the hustle and bustle of Egypt's Alexandria. A trained veterinarian, he makes his coin as a medical rep, all the while day dreaming about escaping to the desert roads with his longboard. The MixBit app lets you record, edit and publish videos as short as one second or as long as an hour – right from your mobile device. MixBit.com is also the first video site that lets users collaborate with each other and remix content uploaded by the community. MOD is one of the tapeless video formats used by JVC, Panasonic, and Canon in some models of digital camcorders. Though MOD is a widely used camcorder video format, MOD is incompatible with most video editing software, media players, or portable devices. In order to make MOD camcorder video more compatible, a recommended solution is to convert MOD to a more popular video format. Convert MOD to AVI, convert MOD to MP4 and etc.